This sponsored giveaway is brought to you by the extremely talented New Zealand-based fashion designer and illustrator, Lorena Balea-Raitz. Lorena Balea-Raitz specializes in hand-drawn illustrations. Her signatures include using bold colors and strong, confident strokes, creating pieces of art that are both one-of-a-kind and high-fashion. Her Etsy shop offers postcards, prints, and custom paper goods, such as gift boxes and cards. I love how dynamic and detailed her work is. Win an illustration of yourself (valued at $100 USD) in your favorite designer ready-to-wear outfit! 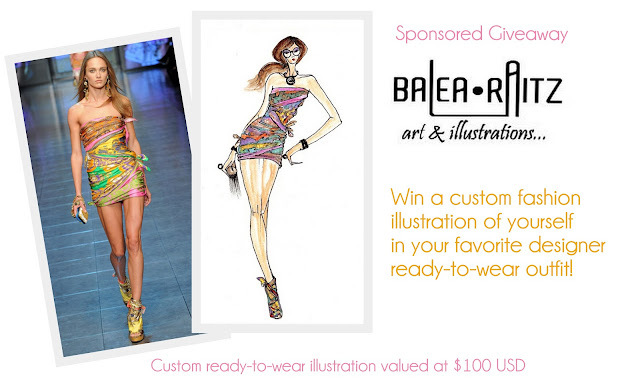 The prize: If you've ever wanted to see yourself in the latest designer fashions straight off the runway, here's your chance to win a a custom fashion illustration worth upwards of $100 USD from fashion illustrator Lorena Balea-Raitz! 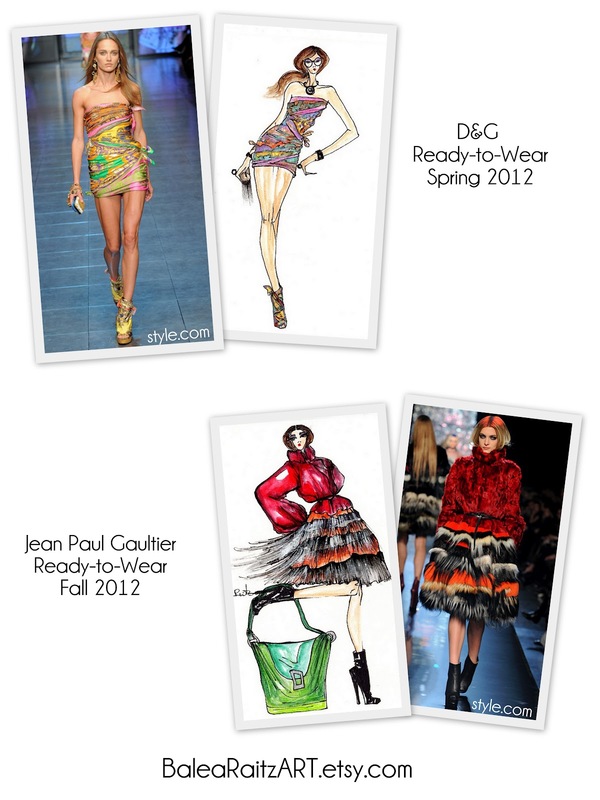 There's a lot of hard work that goes into creating custom fashion illustrations, and you'll get your very own stylized high-fashion rendition of yourself in your favorite ready-to-wear outfit (get inspired and pick your favorite runway look from Style.com! They have the best runway photos). How cool is that? Visit BaleaRaitzART and leave a comment in this post with your favorite item and e-mail address (so that I may contact you if you're the winner). +1 : Follow BaleaRaitzART's illustration blog through GFC and leave a comment on this post with your username. +1 : Like BaleaRaitzART on Facebook and leave a comment on this post with your Facebook name. 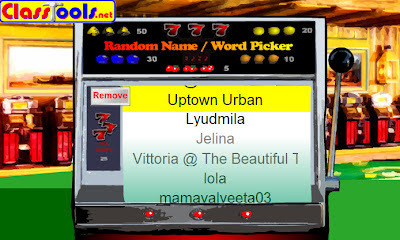 +1 : Follow Lorena on Twitter and leave a comment on this post with your Twitter name. 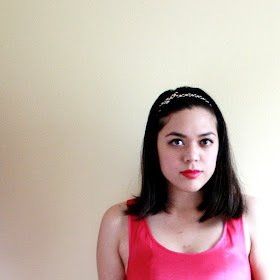 +1/day : Tweet the following: Be your own fashion muse! 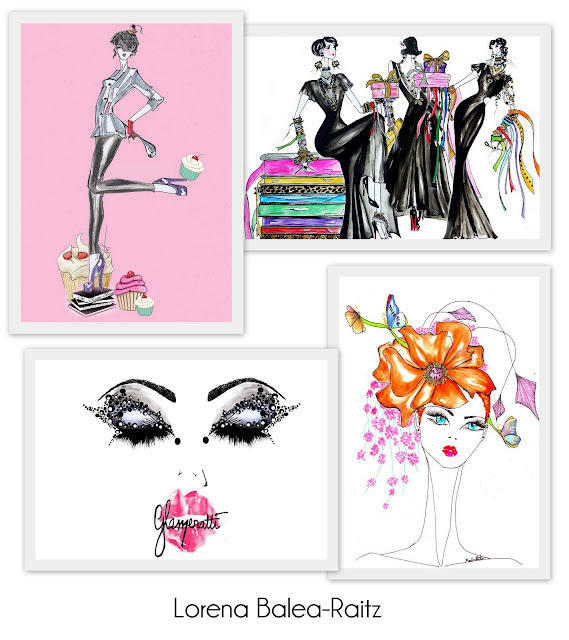 Win an illustration of yourself in your fave runway look by @lorenanbr >> http://goo.gl/M9QGX [@iamericaleigh] **Can tweet daily for extra entries. Please leave a comment in this post with your Twitter username every time you do this. And the winner is...Uptown Urban! Congrats, Uptown Urban! Thanks to everyone who entered. Check back soon for another giveaway.